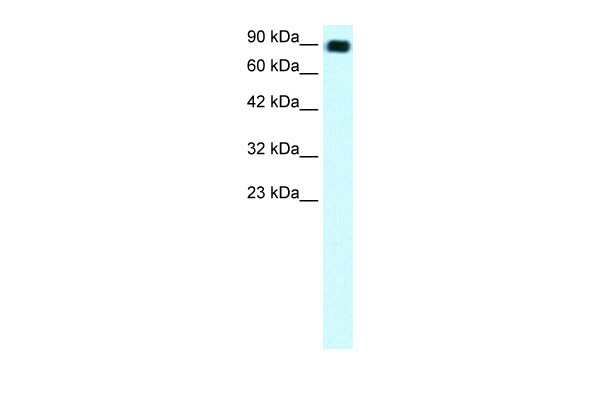 Western Blot analysis of ZNF828 expression in transfected 293T cell line (H00283489-T02) by ZNF828 MaxPab polyclonal antibody.Lane 1: C13orf8 transfected lysate(89.32 KDa).Lane 2: Non-transfected lysate. 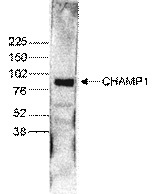 WB using the antibody against CHAMP1 diluted 1:1,000 in TBS-Tween containing 5% skimmed milk. 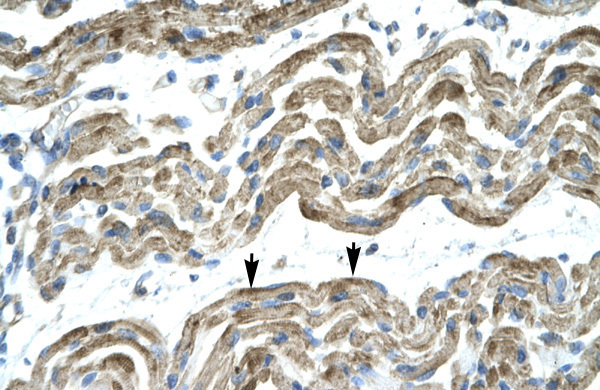 The position of the protein of interest (expected size 89 kDa) is indicated on the right; the marker (in kDa) is shown on the left. 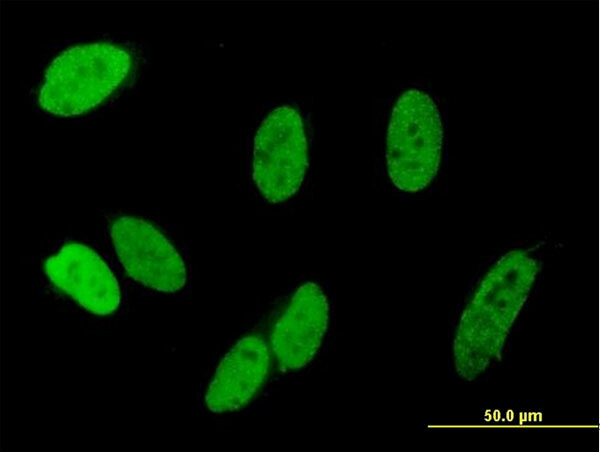 Determination of the antibody titer To determine the titer of the antibody, an ELISA was performed using a serial dilution of the antibody against human CHAMP1. The plates were coated with the peptides used for immunization of the rabbit. 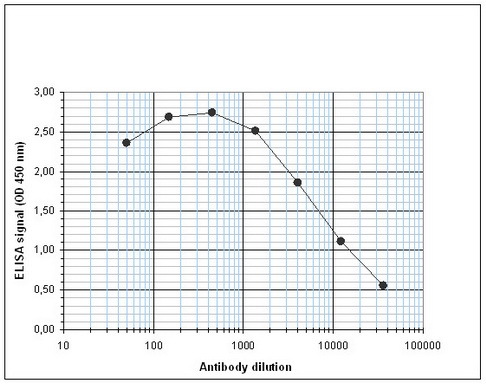 By plotting the absorbance against the antibody dilution (Figure 1), the titer of the antibody was estimated to be 1:8,500.